Photographed by Alexi Lubomirski for Vogue Deutsch July 2008. Vogue Korea May 2009, by Jason Kibbler. Vogue Paris June-July and Vogue Nippon August 2009, by Inez & Vinoodh. Vogue Deutsch September 2009, by Alexi Lubomirski. Vogue España March 2010, by Patrick Demarchelier. 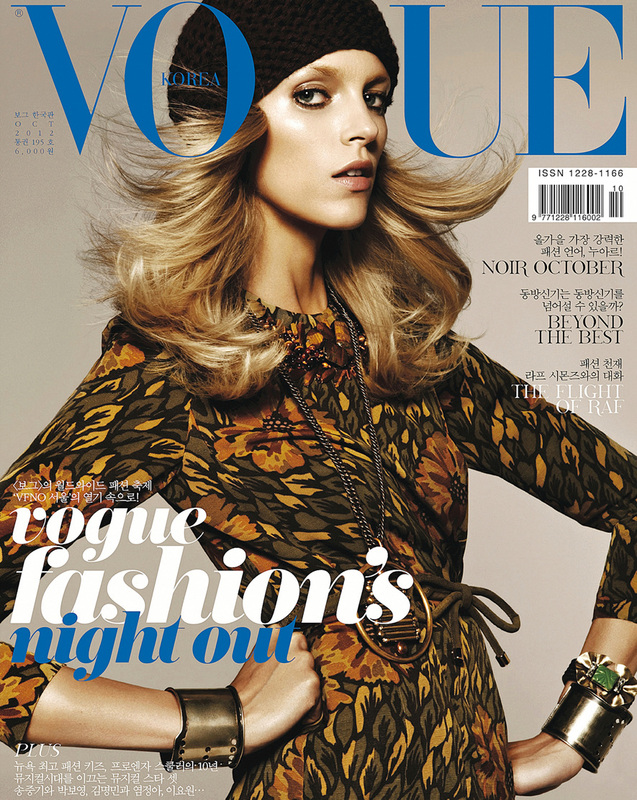 Vogue Mexico and Vogue Deutsch October 2010. Photographed by Sølve Sundsbø for Vogue Russia November 2010. Vogue Russia February and Vogue España March 2011, by Alexi Lubomirski. Anja and Sasha by Alexi Lubomirski for Vogue Deutsch June 2011. Vogue Turkey April and Vogue Mexico May 2013. 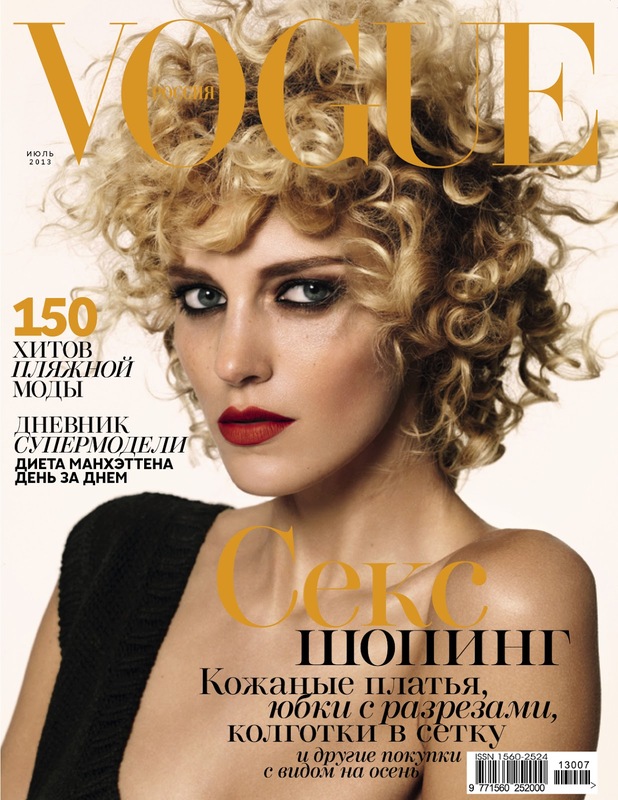 Vogue España June and Vogue Russia July 2013. 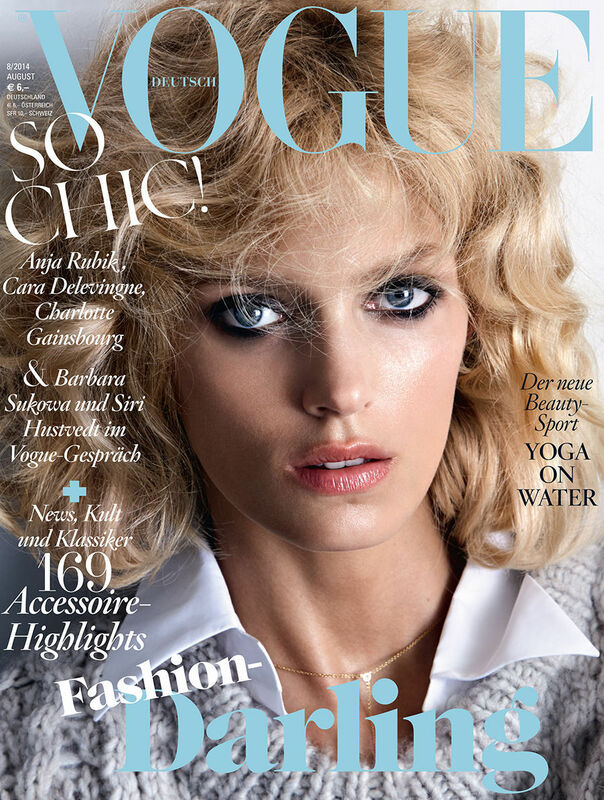 Vogue Deutsch September 2013, by Knoepfel & Indlekofer. Vogue Korea January 2014, by Alexi Lubomirski. Vogue Russia March and Vogue Portugal July 2014, by Patrick Demarchelier. Vogue Deutsch and Vogue Korea August 2014. 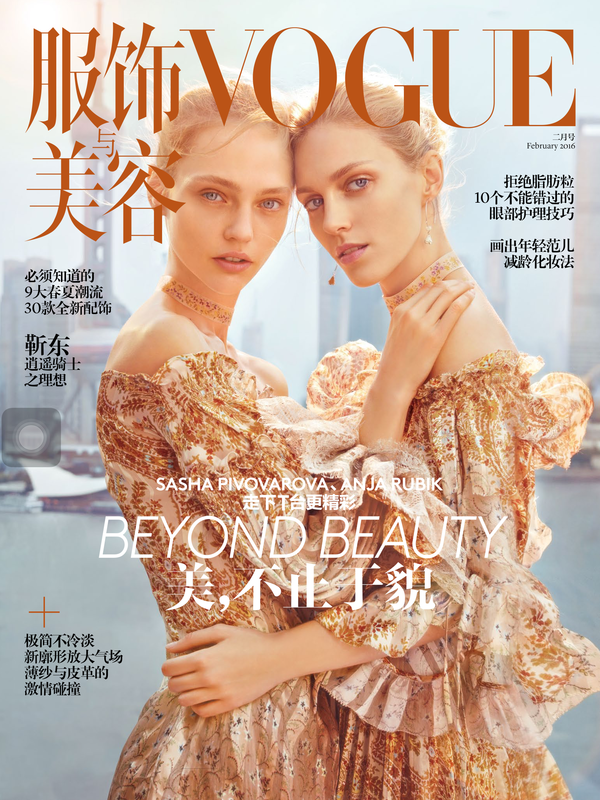 Sasha and Anja by Chen Man for Vogue China February 2016. Photographed by Hunter & Gatti for Vogue Portugal June 2016. 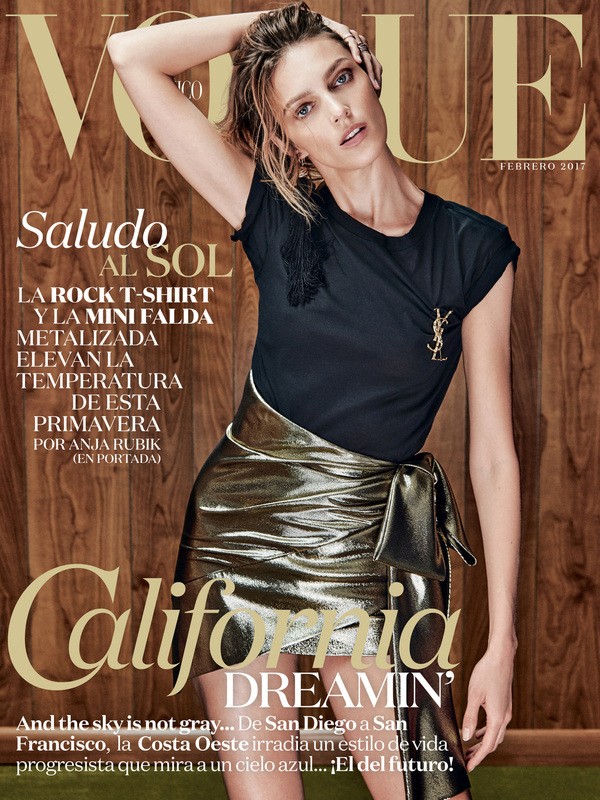 Vogue España August 2016, by Nico Bustos. Vogue Ukraine February 2017, by Chris Colls. Vogue Mexico February 2017, by Chris Colls. Vogue Italia December 2017, by Mert & Marcus. Vogue Poland March 2018, by Juergen Teller. 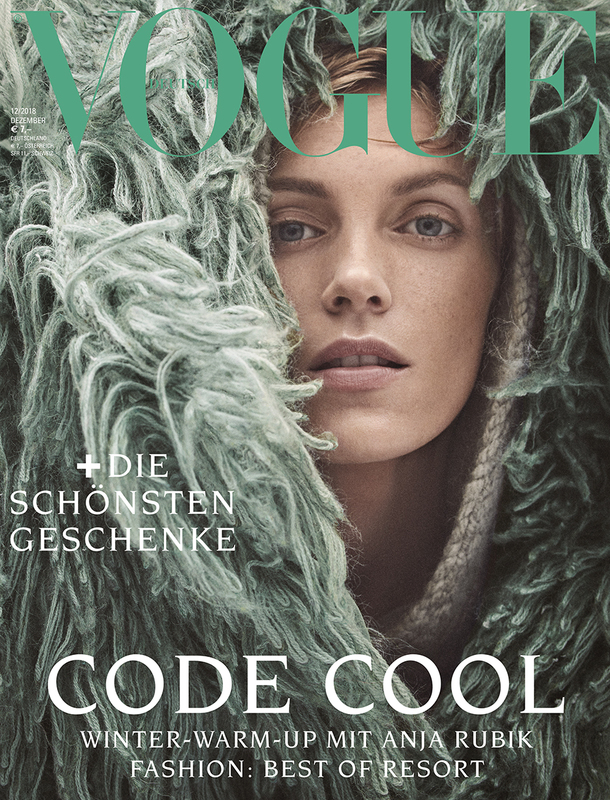 Vogue Deutsch August 2018, by Daniel Jackson. Vogue Polska November 2018, by Kacper Kasprzyk. Vogue Deutsch December 2018, by Giampaolo Sgura.